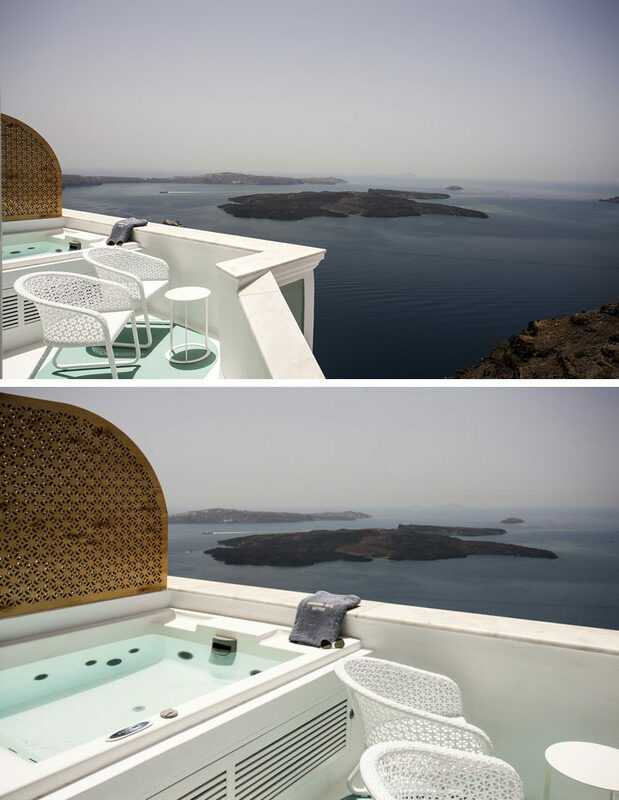 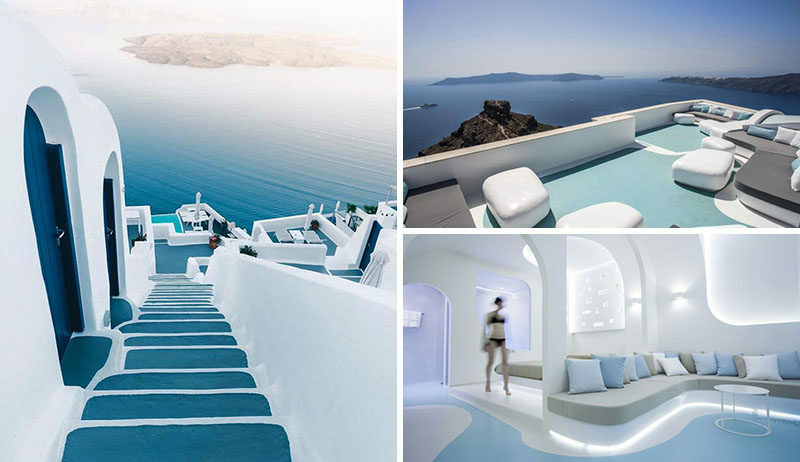 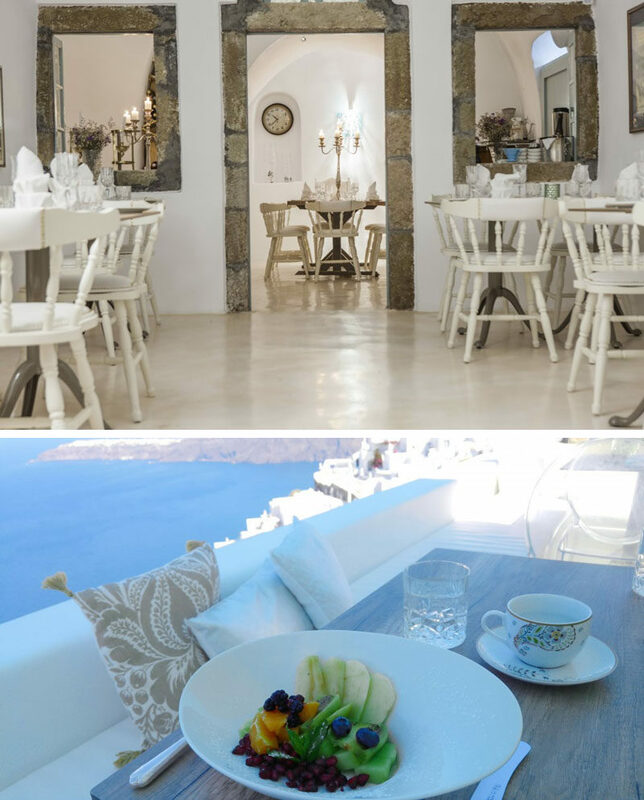 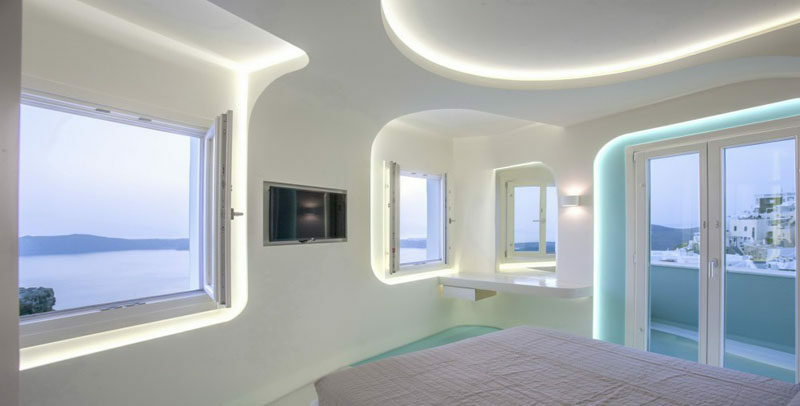 Hidden within the steep winding steps of Santorini, Greece, is the Andronikos Hotel. 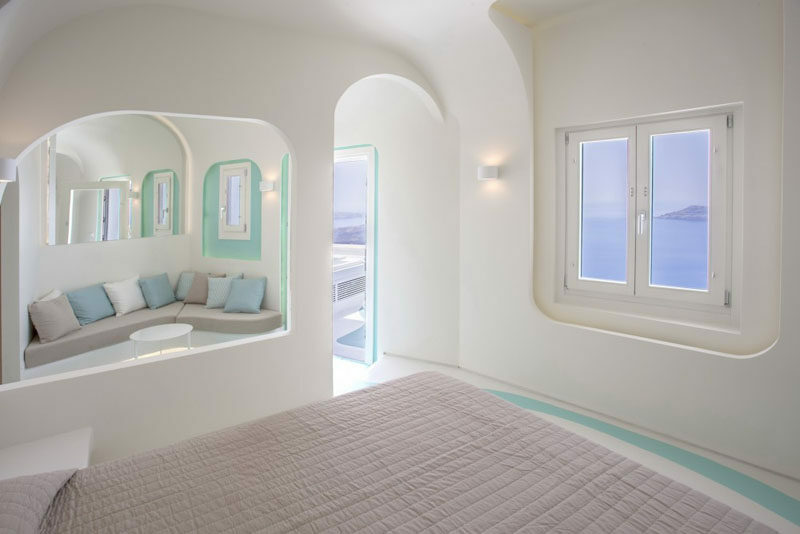 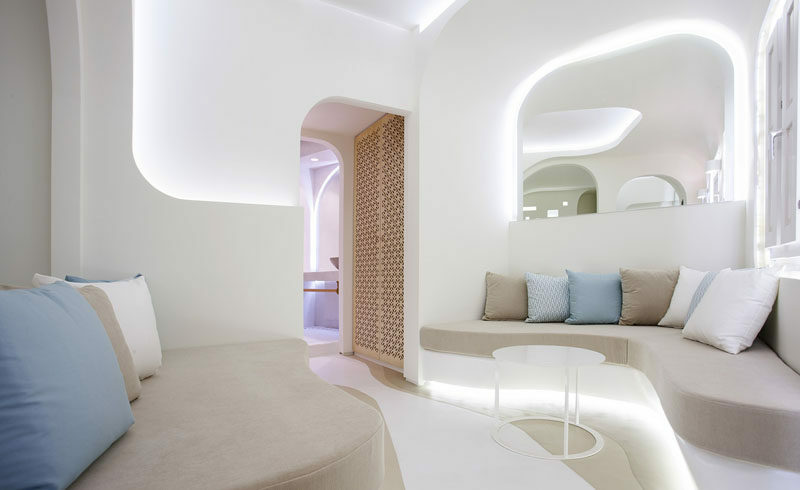 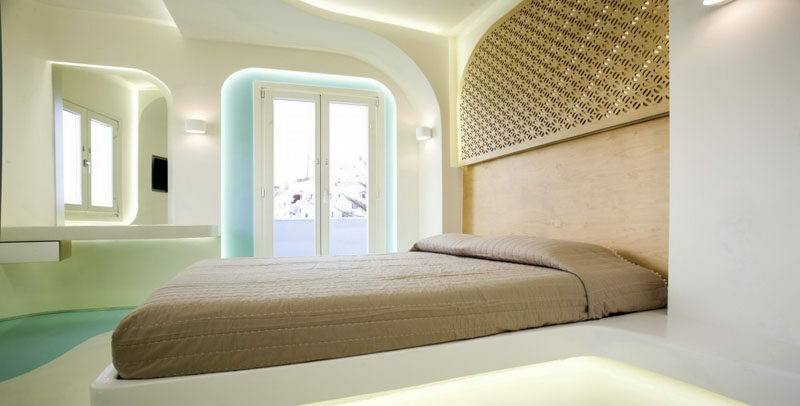 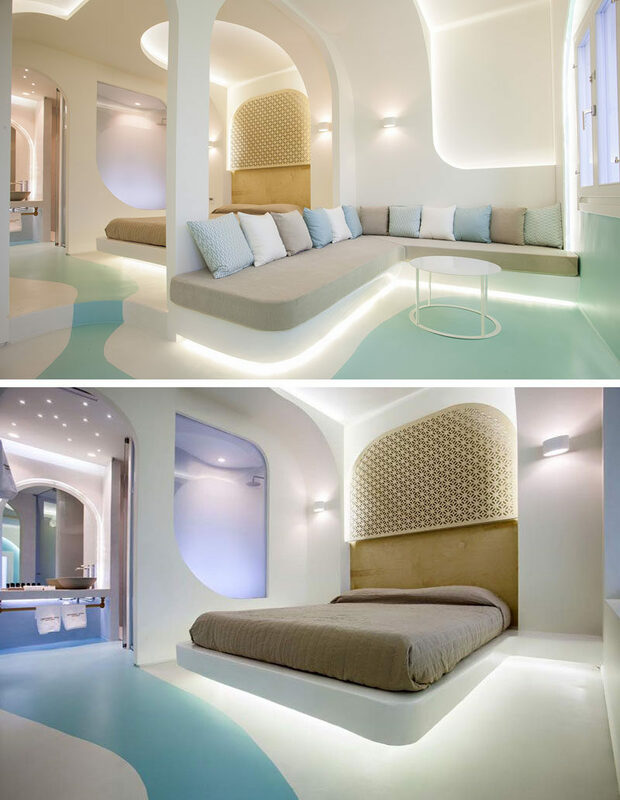 The small boutique property, designed by KLab Architects, has only six suites, but those suites are bright, airy, and modern, with the beds almost appearing to float as they have hidden lighting beneath them. 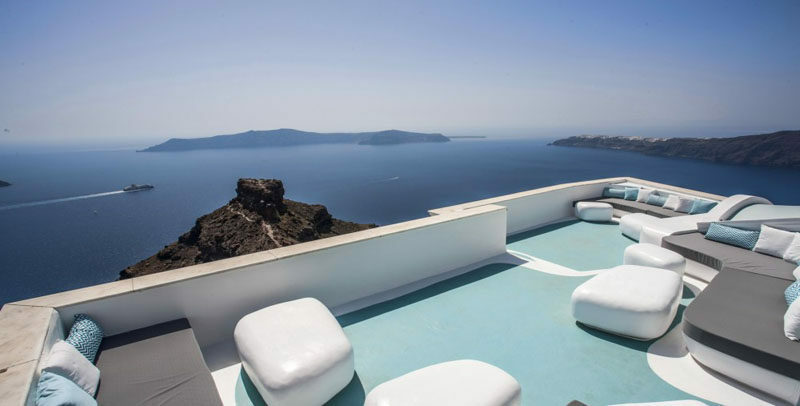 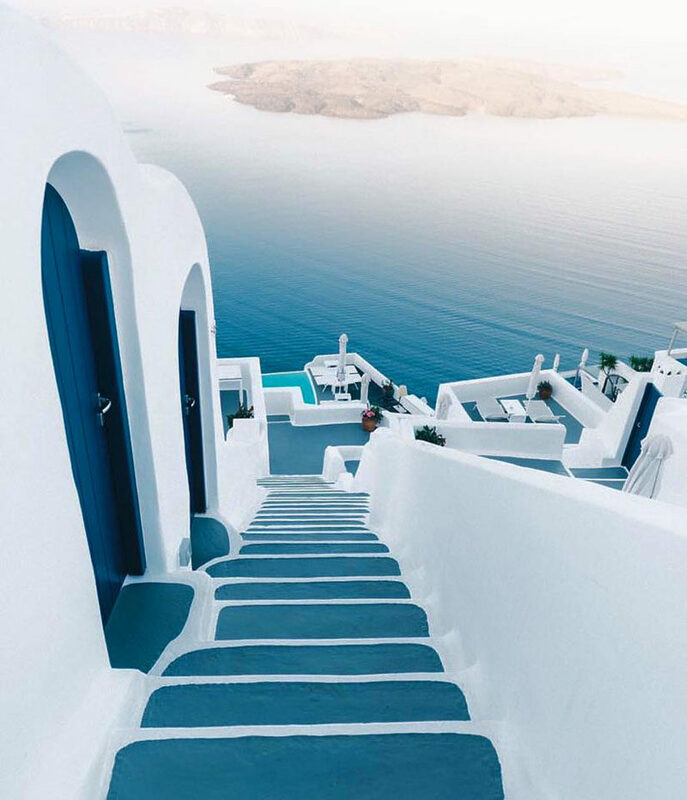 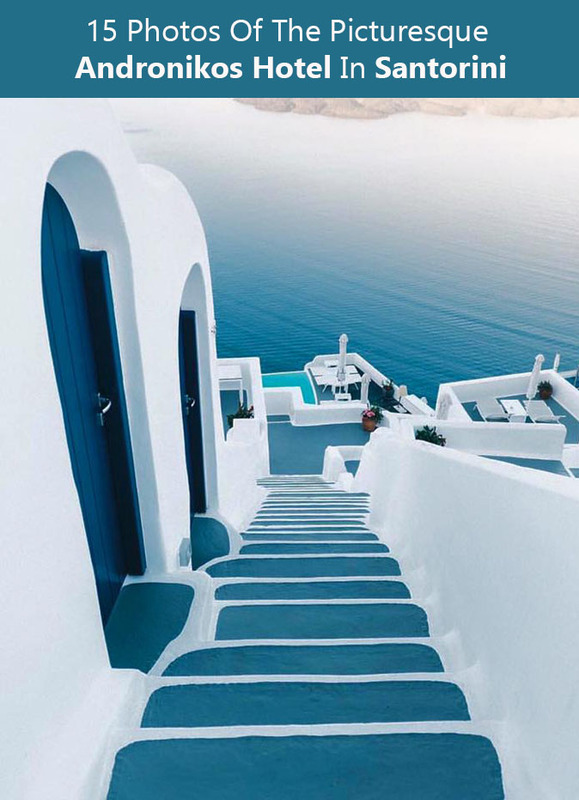 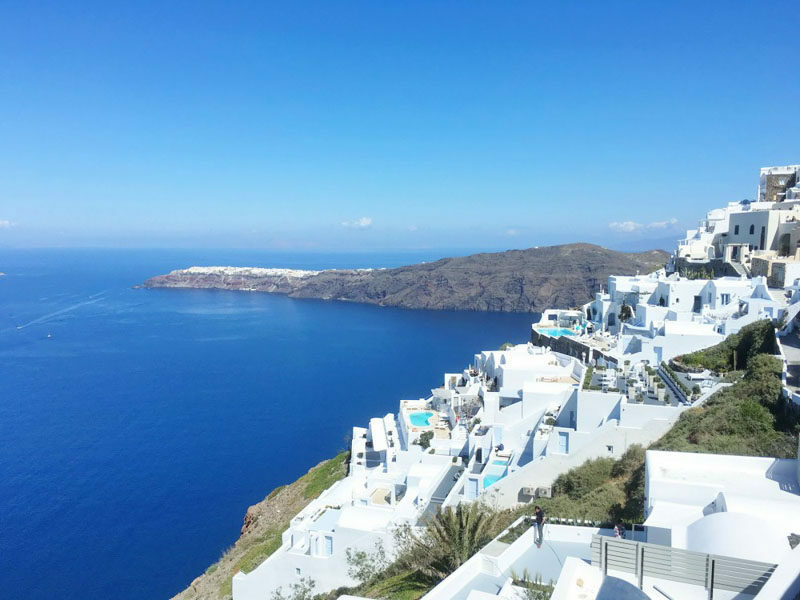 The hotel is located at Santorini’s highest point in Imerovigli, and has amazing views of the Aegean Sea and surrounding islands.